The newly redesigned "Stinger" is a quality framelock folding kit model that offers good performance and style at a reasonable cost. This design features a satin finished hollow ground blade profile with polished liners and premium assembly parts. The blade is in 440C and with a blade length of 75 mm, the liners are in 410 grade Stainless Steel. The handle scales included comes shaped and pre-drilled ready for assembly and final sanding. The scales are in Textured Black G10, a man-made handle material known for high strength and 100% resistant to moisture. Properly built, you can easily meet or exceed the quality and performance found on many production knives in the $200+ dollar range. The modification options on this model are virtually limitless, as you can add filework, engraving, different handle treatments and much more. The base unit is designed to be easily assembled and does not require any additional parts for standard completion (see finished standard model below). This EDC folder kit is a modern, high-quality framelock design and offers good value for money. The kit requires TORX T6 and T8 screw drivers for completion. 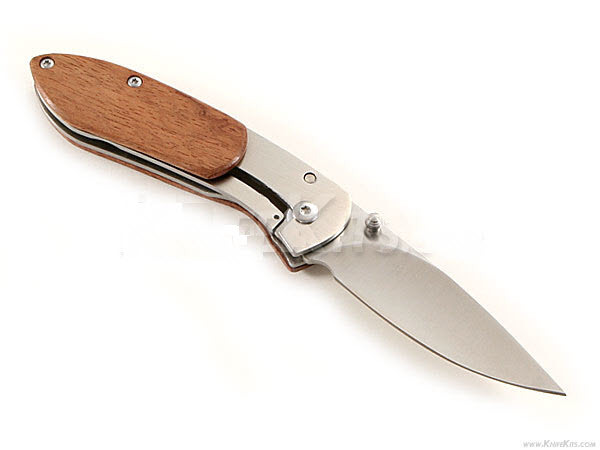 The folder kit is designed by CKK in the US and manufactured to their specifications in China.